In my article on February 19 “Investors – be patient yet be humble” I attempted to give the novice investor an intricate synopsis of the way markets operate, in the most simplest of ways, as well as to clearly highlight market dynamics and market psychology. I also touched upon the importance for the ever need for investors to keep themselves up to date with what is happening in the global economy, how global events impact their investments and how important financial education is for investors of any type, be it if you are a rookie investor or the most seasoned of investors. If we had to delve into the way markets performed in 2018, the easiest thing to do would have been to act "impulsively" by taking risk off the table heading into the new year, given the massive volatility swings we experienced throughout most of 2018. Inevitably, investors began to lose their patience, and with that, hope too, take the markets would recover in the short-term, and this instability and uncertainty is what led to the massive sell off in both credit and equity markets in the last quarter of 2018. From the trade war saga to Brexit uncertainty to the Italian budgetary concerns – we were laden with excuses to sell-off. However, as both myself and especially my colleague have been saying over recent months, is that patience pays off. Acting diligently yet prudently even more. Credit market are the more defensive proposition yet they too come with their fair share of risks, both market and issuer specific risk. Yet with the right strategy and analysis and without rushing, portfolio returns can be quite decent. My colleague opined on a number of occasions that with the right analysis in place, pockets of value will emerge, opportunities will crop up; and indeed they did. Global markets, and here I make reference to both equity and credit markets, have enjoyed the strongest start to the year in a decade, all this on the back of a lacklustre 2018 where investor’s hopes seem to have faded. 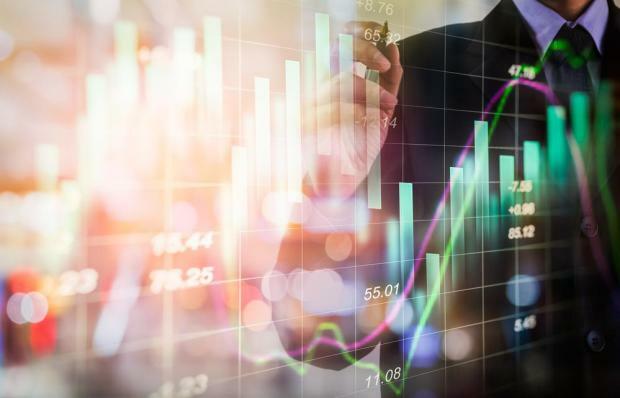 Despite the fact that on a global perspective, economic numbers are nothing to really ride home about, the major contributors to this market rally in the first 8 weeks of 2019 are twofold. Firstly, central banks. The tone of central banks primarily the ECB and the US Federal Reserve has had a marked twist in tone towards being more dovish in terms of interest rate trajectory, spurring assets on as hopes of ‘rushed’ interest rate hikes across both sides of the Atlantic were quashed. Secondly, the trade-war saga has finally began to show some form of light at the end of the tunnel, with some form of truce and common grounds/terms between both parties spurring investor confidence. European High Yield has, for example, risen (on a total return basis) by 3.21% since the start of the year (till 22 February 2019), with its US counterpart registering a positive 6.02% over the same period and Global High Yield is also up by 5.22%. Emerging Market Credit is also 3.72% in the green so far whilst European Investment Grade Credit is timidly up by 1.81%. Naturally, I am not highlighting these returns as an indication of what to expect for the remainder of the year, but merely to stress the fact that investor humility, education, being informed, and above all, patience does indeed pay off. Taking risk off the table in 2018 would have been the easiest thing to do, but looking at green screens, almost day in day out, and not participating in the rally (or recovery, look at it whichever way you want to) would have been inevitably harder and more painful. Disclaimer: This article was issued by Mark Vella, investment manager at Calamatta Cuschieri. For more information visit, www.cc.com.mt . The information, view and opinions provided in this article are being provided solely for educational and informational purposes and should not be construed as investment advice, advice concerning particular investments or investment decisions, or tax or legal advice.